In January 2016 the river below the weir by the church in the village of Mortimer was modified to make a historic weir structure passable to fish, particularly coarse species. The project involved creating two pools below the weir using limestone blocks and gravel. Fish can now make the small step between the pools and no longer need to make one giant leap up the weir. 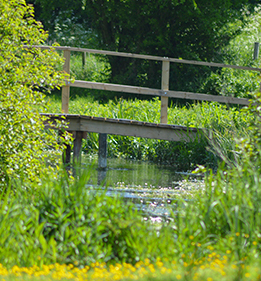 The structure is one of several along the length of Foudry and Silchester Brooks that has blocked access for fish. More work is planned during 2016 to remedy other obstacles. This project was funded through the Catchment Partnership Action Fund with a contribution from Thames Water. The work was delivered by Action for the River Kennet and the main contractor was Windrush Aquatic Environmental Consultants.